Southern Peru is undoubtedly one of the most scenically diverse regions in the world and can boast some jaw-dropping natural scenery. In order to view it properly, one most spend more than a couple weeks exploring the country and avoid simply focusing on the (admittedly beautiful) allure of Machu Picchu. 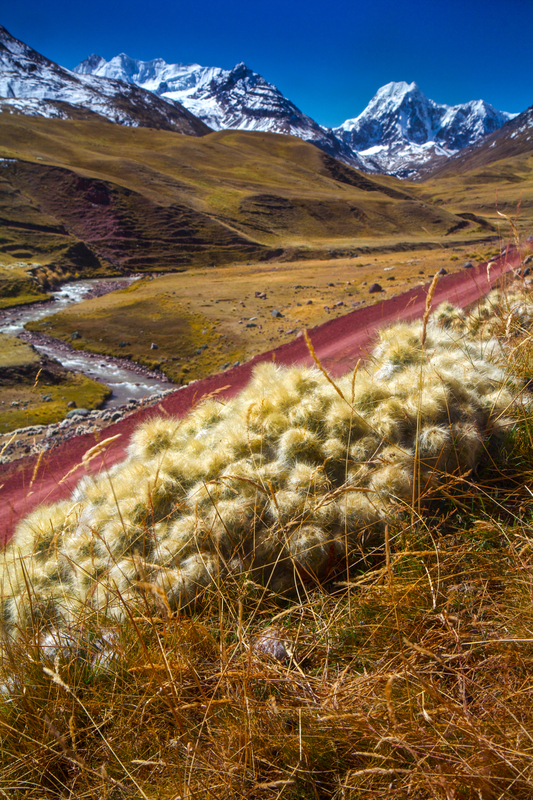 The following trip report focuses on the four distinct landscapes found in Peru: mountains, alpine regions, rainforests, and desert. For a taste of the diversity, consider the diversity of my visit’s itinerary: From the Cusco area, our group trekked the beginning of the beautiful Salkantay Trek and witnessed the day’s wispy clouds light up Salkantay during sunset, explored the ruins of Machu Picchu after a brief clearing storm, climbed 17,000 feet to the shores of Laguna Sibinacocha deep in the Andes, and rode a rustic boat down the Amazon River through Manú National Park - a protected area with one of the highest levels of biodiversity in the world. Around Nazca and the arid Peruvian coast, our group hiked up and camped on Cerro Blano, the most elevated sand dune in the world, and explored Huacachina, the “desert oasis” of Ica and its bright red dunes. The Salkantay Trek is a multi-day hike in Peru and a much less crowded and perhaps more scenic alternative to the traditional Inca Trail for reaching Machu Picchu. The view from Soraypampa/Camp One (picture one) is absolutely jaw-dropping. After the day’s hike, I sneaked away to a valley further uptrail to witness the day’s wispy clouds light up during sunset behind the glow of one of southern Peru’s most magnificent Andean mountains. Upon reaching the ruins of Machu Picchu, the early morning mist began to clear, revealing the amazing setting of the ancient city. Alpacas roam the complex and sometimes even seem to pose for the passing tourist. In addition, all that rain produces some beautiful waterfalls around the access town of of Aguas Calientes, which is definitely worth a visit. The Cerro Blanco sand dune is located near the town of Nazca on the Peruvian coast. 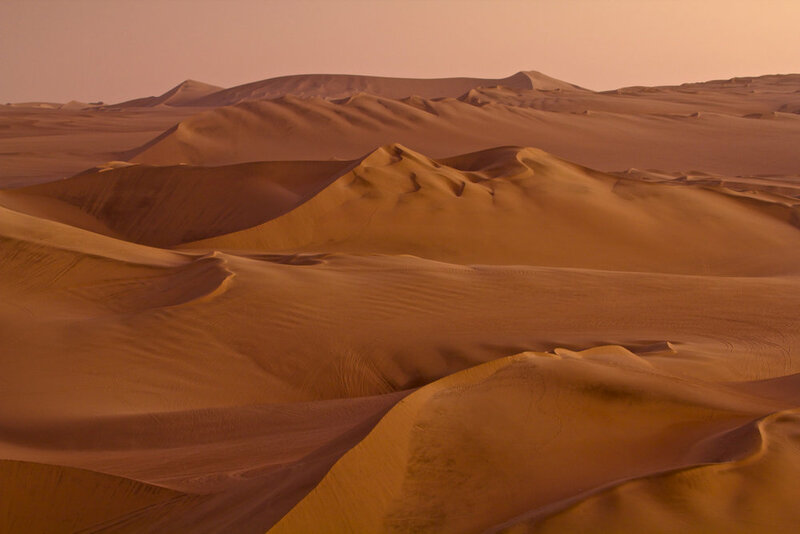 Sandwiched between the ocean and the mountains, the dune has grown to be the most elevated sand dune in the world. During the Inca Empire it was considered a sacred place where offerings to the “Apus” (mountains) were routinely performed. Today, Cerro Blanco is a perfect for a number of activities, including sandboarding, dune buggies, paragliding, ATV tours, downhill mountain biking, trekking, and camping on the sand slopes. Reaching the top requires a 2-3 hour hike. Backcountry overnight camping up top allows photographers the chance to witness great sunset and sunrise colors with which to frame the dune and the badlands far below. Huacachina is a village in southwestern Peru built around a small water oasis and surrounded by tall sand dunes. Called the "oasis of America," it is a resort for local families from the nearby city of Ica, and increasingly, an attraction for tourists drawn by the appeal of sandboarding on sand dunes that stretch several hundred feet high. I couldn’t get any interesting shots of Huacachina, where we stayed for a night, so I focused my attention on the dunes behind the resort town that extended as far as the eye could see. The sunset gave me little to work with so I applied a warming glass filter to my lens to visually accentuate the “heat” of the dunes. If you look closely, you can see the ATV dune buggy tracks on the sand far below. If there is paradise on Earth it’s Lake Sibinacocha. Simply standing on its shores can give you altitude sickness but the lake’s pristine water is surrounding by two snow-capped mountain ranges so the beauty distracts you. Our guide led us to the lake on our way up to the Quelccaya Ice Cap, which required ascending to more than 4,800-5,000 meters above sea level (16,000-17,000 feet). At that altitude, few recognizable flora outside of alien spiky cacti flourish (picture one). Lake Sibinacocha is bitterly cold in the winter and the altitude makes sleeping difficult but camping on its shore permits one to shoot sunrise and sunset (pictures two and three) and play around with the lake’s colorful and unique rocks as foreground elements. The Quelccaya Ice Cap is the second largest glaciated area in the tropics and one of the few remaining tropical ice caps with glaciers. Located in the Cordillera Oriental section of the Peruvian Andes, it sits at an average altitude of 5,470 meters (17,950 feet) and spans an area of 44 square kilometers (17 square miles). As with the majority of the Earth's glaciers, the Quelccaya Ice cap has retreated significantly since it was first studied. When I first learned about it before my trip to Peru, I knew I had to visit but there was only one company that took tourists there: Ayni Peru. The tour guides were particularly fond of a glacial lake that they kept mentioning. Reaching that lake (picture four) is exhausting given the altitude but the place was absolutely wonderful and so remote. Being there feels like you are at the end of the world. East of the Andes near Cusco in southern Peru is Manú National Park in the Amazon Rainforest. 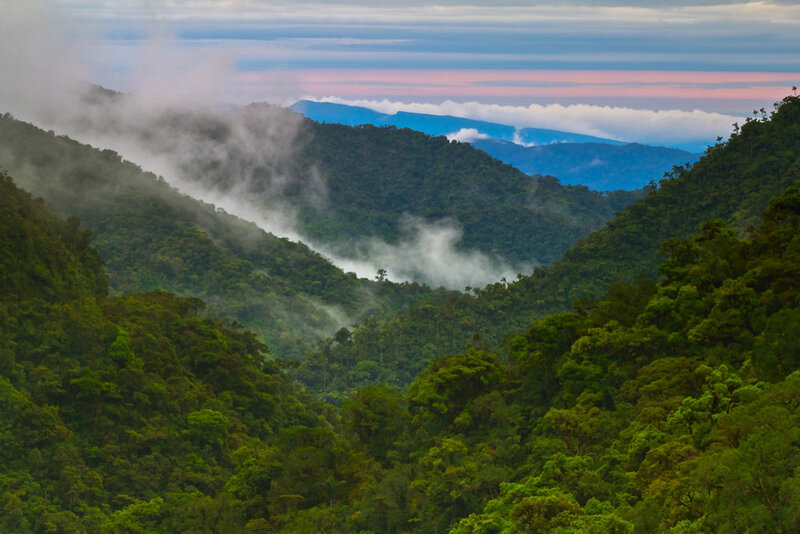 This sprawling natural reserve spans successive tiers of vegetation: the Andean highlands, cloud forest (picture two), and lowland jungle, decreasing in elevation from 4,200 meters above sea-level to just 150 meters above sea level. The tropical forest in the lower tiers is home to an unrivaled variety of plant and animal species, including black caimans and spider monkeys. Some 850 species of birds have been identified and rare species such as the giant otter and the giant armadillo also find refuge there. Manú is famous for its colorful macaw population, which feed on clay licks at various sites. To see them, visitors must take an early morning boat ride and arrive just as sunrise lights up the river (picture three). It is particularly thrilling to ride the rushing waters of the Manú River past dense Amazonian jungle to the Amazon River (picture one), whose bedrock is exposed during the dry season (picture four).